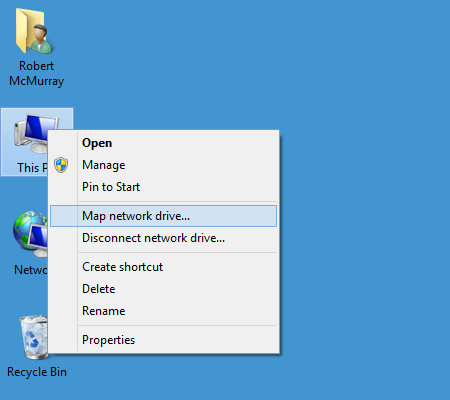 This blog is Part 2 of a series about mapping a drive letter to your OneDrive account. In Part 1 of this series, I showed you how to map a drive letter to your OneDrive account when you are using standard security, and in this blog I will show you how to map a drive letter to your OneDrive account after you have enabled two-step verification for your account security. The process is largely similar, with the notable exception that you need to generate an application password which you will use when you are mapping the drive letter with the WebDAV Redirector. The first thing that you need to do is to browse to https://onedrive.live.com/ and sign in with your Windows account. 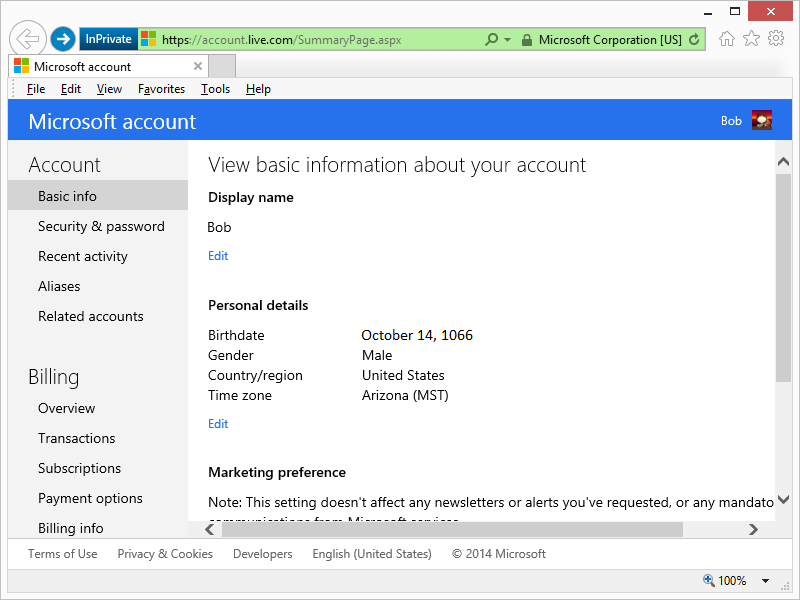 Your Customer ID is the value that is specified after the "cid=" in the URL; for example: "https://onedrive.live.com/?cid=426f62526f636b73". You will need this value when you map a drive letter. Your next step is to map the drive letter, and there are a few ways to do this. I have documented several methods in my Using the WebDAV Redirector article on the IIS.net website, but I will show a few ways in this blog. Once the Map Network Drive Wizard appears, enter "https://d.docs.live.net/" followed by your Customer ID from Step 2. 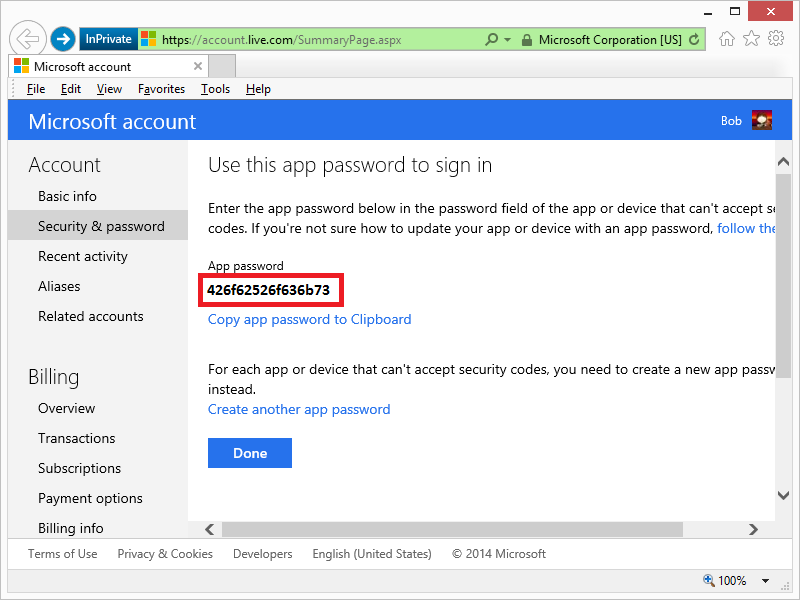 For example: "https://d.docs.live.net/426f62526f636b73/"
When the Windows Security dialog box appears, enter your email address that you used to log into your OneDrive account in Step 1 and the application password that you created in Step 3. C:\>net use * https://d.docs.live.net/xxxxxxxxxxxxxxxx/ /user:"user@example.com" "password"
C:\>net use * https://d.docs.live.net/426f62526f636b73/ /user:"bob@contoso.com" "426f62526f636b73"
Volume in drive Z has no label. That wraps it up for Part 2 of this blog series - I hope this helps! 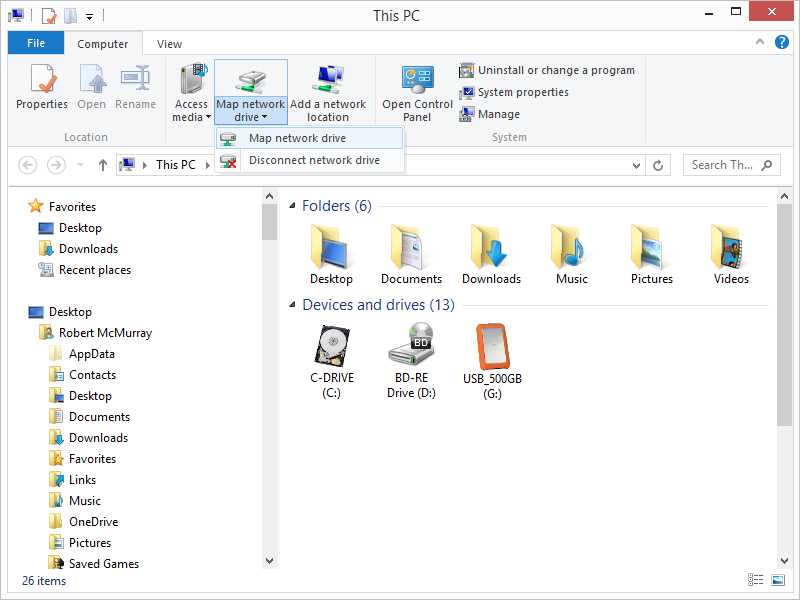 If you have read some of my previous blog posts and IIS.NET articles about WebDAV, you will see that I often use the WebDAV Redirector that is built-in to Windows in order to connect to various WebDAV websites. This allows me to access my files via a mapped drive letter, which also enables me to use WebDAV with applications that do not have native WebDAV support. (Like Visual Studio.) I'm also a big fan of OneDrive, but sometimes I'm on a legacy system where I don't have OneDrive installed. 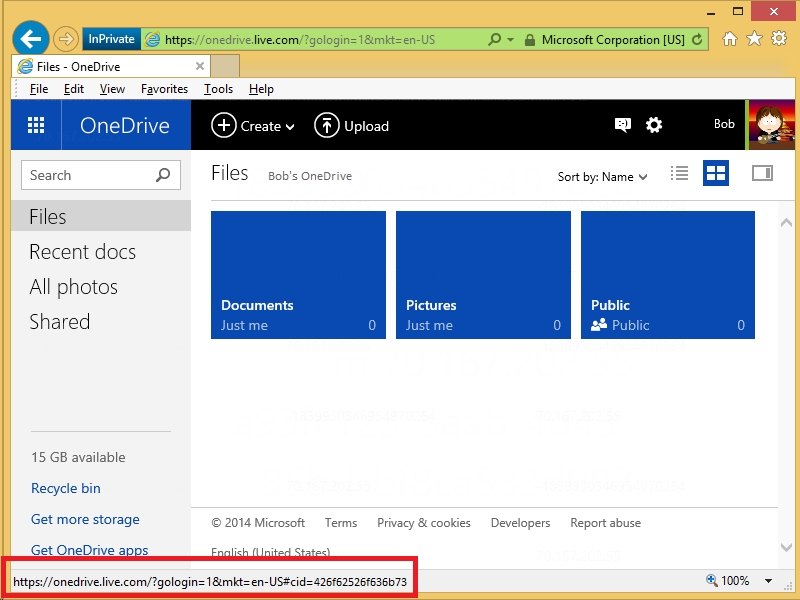 With that in mind, I thought that I would put together a quick blog series to show you how to map a drive letter to your OneDrive files. 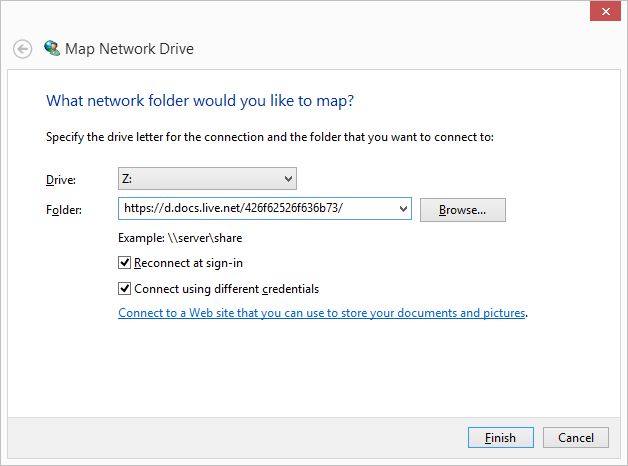 In Part 1 of this series, I will show you how to map a drive letter to your OneDrive account by using standard security. 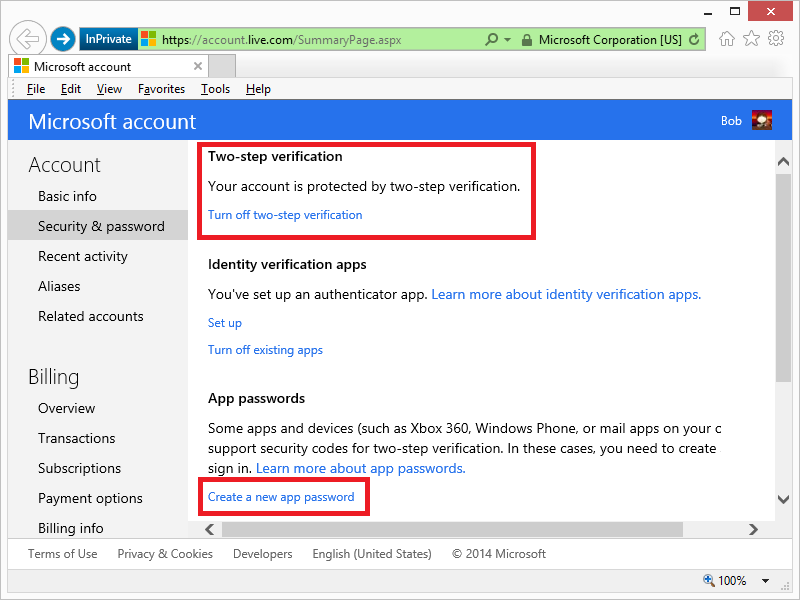 In Part 2 of this series, I will show you how to map a drive letter to your OneDrive account after you have enabled two-step verification for your account security. 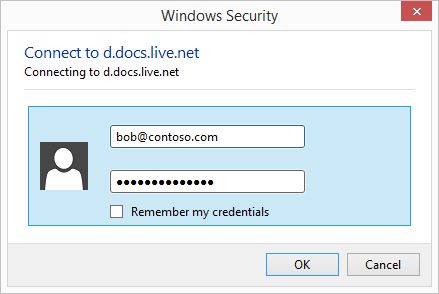 When the Windows Security dialog box appears, enter the email address and password that you used to log into your OneDrive account in Step 1. C:\>net use * https://d.docs.live.net/426f62526f636b73/ /user:"bob@contoso.com" "P@ssw0rd"
That wraps it up for Part 1 of this blog series. 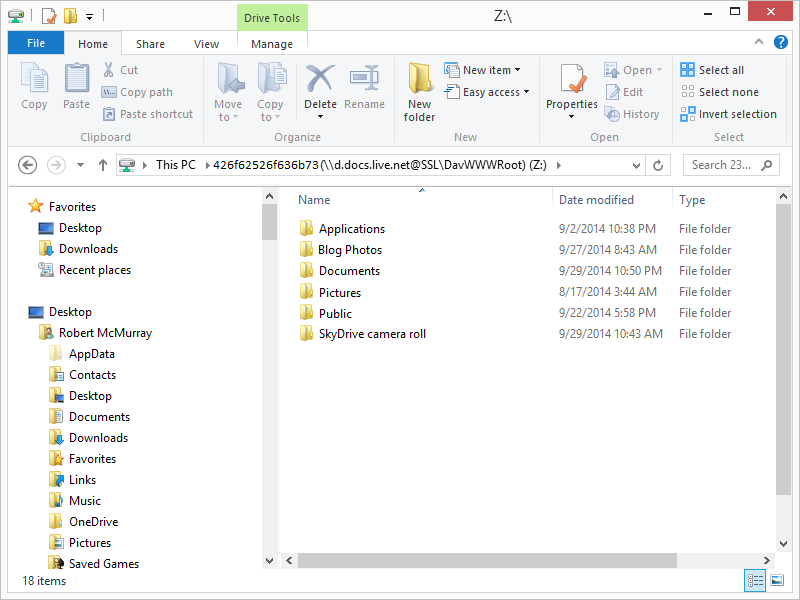 In Part 2, I will show how to map a WebDAV drive to your OneDrive account after you have enabled two-step verification for your account security.